A new Pediatrics study has found that the abuse of certain prescription drugs is growing among teenagers. Drawing from US Poison Control Center data between 1998 and 2005, the study found that calls related to teenager ADHD (attention-deficit/hyperactivity disorder) drug abuse rose by 76% percent over that time period. This is a notably faster period of growth than substance abuse generally and teen substance abuse in particular. And that is not the only study that points to amphetamine abuse. 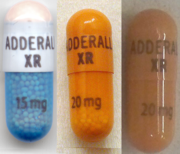 A 2005 survey published in the science journal Addiction found that on certain college campuses Adderall and other stimulants have been misused by up to 25% of students. A Home Health Testing amphetamine drug test will detect Adderall and Ritalin. They will even detect regular, prescribed doses - doses even lower than 25mg a day can be picked up. 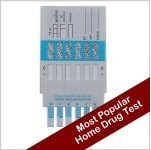 If you are trying to determine whether an amphetamine has been recently used, a home drug test may be what you are looking for. For more information please view the Information tabs on each individual product page at www.homehealthtesting.com.